AWS Identity and Access Management (IAM) has developed an ecosystem of partners who offer single sign-on (SSO) capabilities to multiple applications and infrastructure services. In the case of AWS, users of these identity solutions need to sign in once to the organization's portal to gain access to AWS services and resources available to them. CA Single Sign-On and CA Secure Cloud provide secure federated SSO and flexible access management to cloud and on-premise applications. These solutions can help accelerate application availability, enhance security, and reduce TCO while providing a great user experience. Centrify provides privileged access security and single sign-on to SaaS and hosted applications for every user from any device. With Centrify Identity Services for AWS, IT maintains centralized control of access and usage policies and privileged activity, and enables users to remotely log in to AWS resources from desktops or mobile devices while ensuring identity assurance with multi-factor authentication. Okta is the leading independent provider of identity for the enterprise. The Okta Identity Cloud connects and protects employees of many of the world's largest enterprises. It also securely connects enterprises to their partners, suppliers, and customers. 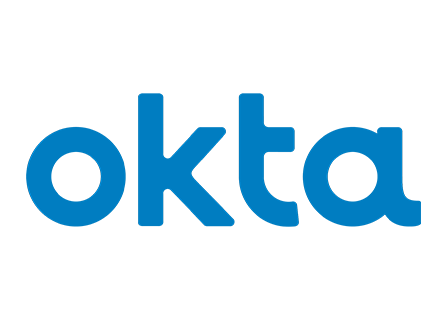 Learn more about how to configure Okta to provide Single Sign-On, Adaptive Multi-Factor Authentication with AWS. OneLogin provides a cloud-based identity and access management (IAM) solution that offers simple SSO, making it easier for companies to secure and manage access to web applications both in the cloud and behind the firewall. Learn more about how to configure OneLogin to use SAML to achieve SSO with AWS. Ping Identity is The Identity Security Company whose identity and access management platform gives enterprise customers and employees one-click access to any application from any device. To enable SAML-based SSO to AWS, configure AWS with PingFederate or with PingOne. SAP Single Sign-On enables customers to cover basic authentication requirements as well as sophisticated security needs, such as digital signatures, two-factor authentication, and encryption. For cloud-based applications, SAP Cloud Identity (SAAS) enables authentication and single sign-on for cloud-based applications and deployments. Learn more on sap.com/security or in the SAP community network (registration required). 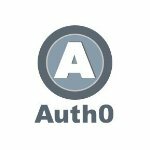 Auth0 enables identity delegation for AWS APIs (such as S3, EC2, and DynamoDB) so that developers can easily integrate authentication from any IdP with AWS' powerful IAM policies for fine-grained access control, along with SSO with the AWS management console using SAML. Bitium's Unified Cloud Management System offers single sign-on, identity management, password controls, advanced reporting, security, and directory integration for all of your cloud applications. Learn about how to turn on SAML 2.0 for AWS in Bitium. M-Pin SSO AMI provides zero-password, two-factor authentication and single sign-on to any SAML or RADIUS-enabled application, in the cloud or on-premises. Use M-Pin SSO AMI to access AWS IAM resources like the AWS Management Console by using SAML, and Amazon WorkSpaces desktops via RADIUS. To configure M-Pin SSO, see our configuration guide. ForgeRock Access Management, built from the OpenAM open source project, is a single, unified access management solution that has the adaptive intelligence to continuously protect against risk-based threats, drive personalization across users, devices, services, and things, and reduce friction at registration and login. Learn how to leverage ForgeRock Access Management to provide continuous security with Amazon Web Services. Matrix42 is a top provider of workspace management software. The company's products and solutions are designed to manage modern work environments simply and efficiently—across physical, virtual, and mobile workspaces. This getting started guide describes how to integrate AWS into Matrix42 MyWorkspace by using SSO. SSO and 2-Factor Authentication—all in one solution—for mobile, SaaS, and web apps. Ties to your existing back-end user data store. Learn more about configuring SecureAuth to use SAML to achieve SSO with AWS. Xceedium, Inc., is a global privileged identity and access management solution provider. Xsuite Cloud for AWS together with Test Drive are an enterprise-class platform enabling organizations to control access, monitor, and record privileged sessions, and protect privileged credentials for AWS-only or hybrid cloud environments. Clearlogin makes secure access to the cloud easy for users, IT administrators, and developers. You can easily connect your organization to multiple AWS accounts, and integrate with AWS Directory Service, Active Directory, LDAP, or Google Apps for identity. Connect to thousands of applications through your custom-branded application dashboard. Sign up for a free trial or review our SAML configuration guide for AWS. Identacor is a robust, cloud-based identity and access management solution that provides secure, one-click access to all of your company’s corporate web applications. To configure the Identacor/AWS integration, see Configuring Single Sign-On (SAML) for Amazon Web Services. Microsoft Windows 2008 and above comes with SAML 2.0 based Active Directory Federation Services at no additional cost. Learn more about how to configure ADFS to use SAML to achieve SSO with AWS. The miniOrange Single Sign On (SSO) Solution ensures seamless access to all enterprise resources. After authenticating with miniOrange SSO, users can easily connect and navigate within the enterprise in accordance with defined policies. The miniOrange SSO Solution can be deployed in minutes and supports various cloud apps, web apps, and legacy apps. See our step-by-step guide to integrate SAML SSO for AWS. Radiant Logic’s RadiantOne Federated Identity Service integrates with AWS to provide an identity hub for SAML-based SSO. Based on advanced virtualization, RadiantOne rationalizes identity from diverse sources across the enterprise and beyond so that you can provide access to anyone from anywhere. Configure RadiantOne with AWS to achieve SSO with SAML. Salesforce Identity provides open-standard identity and access management for web and mobile applications, through the simplicity, transparency, and trust of the Salesforce Platform. Learn more about how to configure Salesforce.com to use SAML to achieve SSO with AWS.